Any personal information provided to or to be gathered by CGTN is controlled primarily by CGTN. We collect two basic types of information from you in conjunction with your use of the Sites, personal information and non-personal information. Personal information is information that you may supply to us, as described more fully below, i.e., when you register for a Site or any part thereof, upload content, participate in a community, or provide your e-mail address. Personal information is any information that can individually identify you and includes, among other things, your name, e-mail address, telephone number, postal address, and contact information. Non-personal information includes information that does not personally identify you, but it may include tracking and usage information about your location, demographics, use of the Sites and the Internet. When you interact with any CGTN property page or account on a social media platform, such as Facebook, Weibo, WeChat, Twitter, Google+, Tumblr, YouTube, or Pinterest, we may collect the personal information that you make available to us on that page or account including your account ID or “handle.” However, we will comply with the privacy policies of the corresponding social media platform and we will only collect and store such personal information that we are permitted to collect by these social media platforms. If you choose to link or login to your CGTN account with or through a social networking service, CGTN and that service may share certain information about you and your activities. With your consent, we also may share information about your activities, including what you view on the Sites, with that social network’s users. Demographic data such as age, gender, and five digit zip code as part of collecting personal information. We collect and store your device’s source IP address which may disclose the location of your device at the time you access the Sites. In addition, in some cases the Sites can deliver content based on your current location if you choose to enable that feature. If you enable that feature, your current location will be stored locally on your device which will be used by the Sites to serve you certain content tied to your location. If you elect to have your location-based searches saved to your history, we will store such information on our servers. We use the information from one portion of the Sites on other portions of Sites in our network of Sites, all of which are owned and operated by CGTN, and we may combine information gathered from multiple portions of the Sites into a single customer record. We also use and/or combine information that we collect off-line or we collect or receive from third party sources to enhance, expand, and check the accuracy of your user records. We have third party agents, subsidiaries, affiliates and partners that perform functions on our behalf, such as hosting, content syndication, content management tools, social media integration, marketing, analytics, customer service, fraud protection, etc. These entities have access to the Personal Information needed to perform their functions and are contractually obligated to maintain the confidentiality and security of that Personal Information. They are restricted from using, selling, distributing or altering this data in any way other than to provide the requested services to the Sites. We are concerned about ensuring the security of your Personal Information. Personal Information collected by our Sites are stored in secure operating environments that are not available to the public. Our security procedures mean that we may occasionally request proof of identity before we disclose your Personal Information to you. Please understand, however, that while we try our best to safeguard your Personal Information once we receive it, no transmission of data over the Internet or any other public network can be guaranteed to be 100% secure. Please remember that any information you share in public areas, such as comments to stories, becomes public and anyone may take and use that information. Please be careful about what you disclose and do not post any Personal Information that you expect to keep private. If you post or send offensive, inappropriate or objectionable content or otherwise engage in any disruptive behavior at CGTN.com, we may use your personal information to stop such behavior. CGTN reserves the right of interpretation and judgment regarding the above mentioned content. You may always opt-out of receiving future e-mail messages and newsletters from CGTN. To opt-out, you can send us a message at digital.media@cgtn.com. 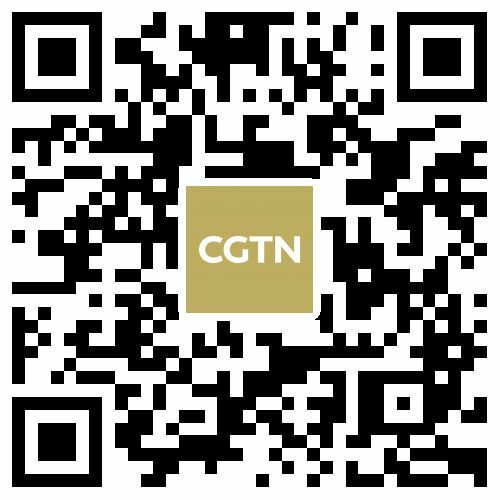 Chinese laws permit customers of CGTN to request certain information regarding its disclosure of their personal information to third parties for their direct marketing purposes. To make such a request, please send an e-mail to digital.media@cgtn.com.